Participants in the Youth Leadership Program visit Washington, D.C. The program allows many students who have not had the opportunity to travel to visit nationally-significant sites. Image courtesy of the Birmingham Civil Rights Institute. With funding from the NEH, the Legacy Youth Leadership program at the Birmingham Civil Rights Institute (BCRI) trains local high school students to become certified docents. 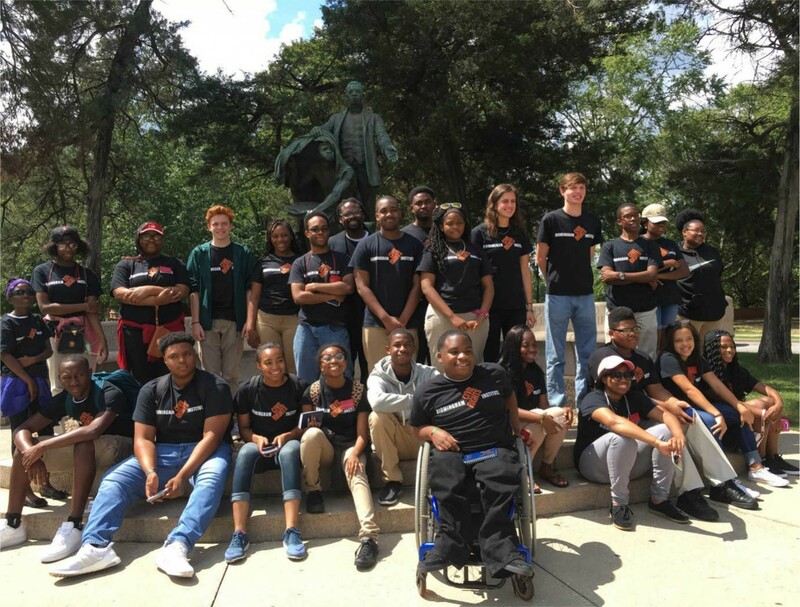 Students are given the opportunity to travel, and student groups have visited Civil Rights Era historic sites throughout the South as well as ones in Washington, D.C. and South Africa, where they learned about the legacy of Apartheid. At the end of the summer, students are fully a part of the BCRI community, where they lead tours in the institute and in the neighboring community for visitors of all ages. A Youth Leadership Program docent gives a tour. Image courtesy of the Birmingham Civil Rights Institute. The Legacy Youth Leadership Program has both immediate and long-term effects on participants. 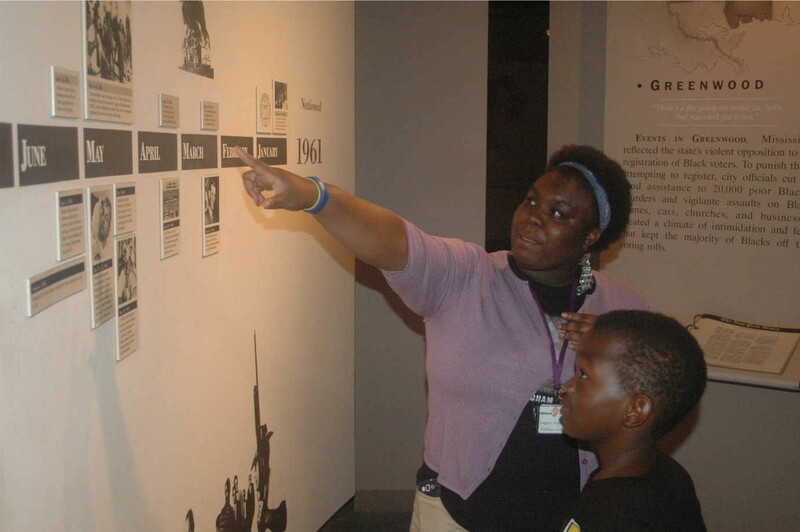 While teaching Civil Rights Era history, the program also focuses on the students’ personal development, helping them gain confidence and leadership ability, as well as improving their public speaking skills. They become more engaged in their community and civically minded. At their own initiative, students from BCRI have presented the Civil Rights story of Rev. Fred Shuttlesworth at their schools. They acted as guides for Ride United, an annual bicycling event that explores Civil Rights sites throughout Birmingham. One graduate has become an interpreter for the National Park Service; another founded a student group at the University of South Alabama. 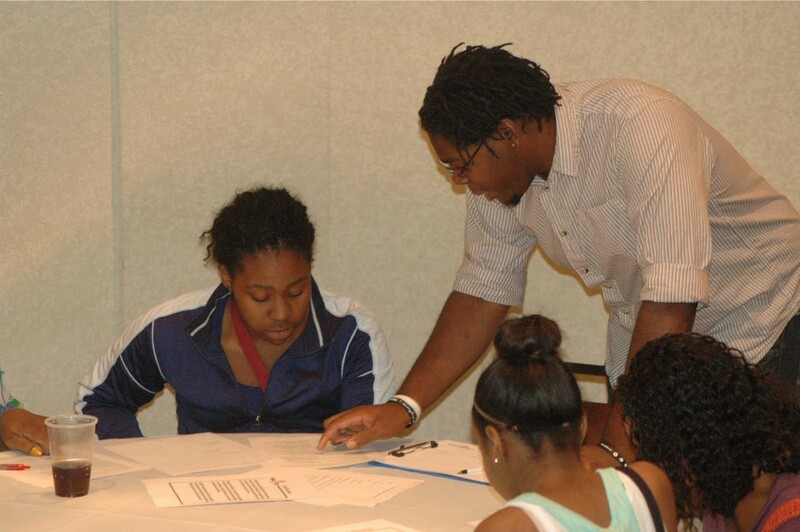 Participants in the Youth Leadership Program participate in a workshop. BCRI focuses on the students’ personal development, helping them gain confidence and leadership ability, as well as improving their public speaking skills. Image courtesy of the Birmingham Civil Rights Institute. Participants in the Youth Leadership Program. Image courtesy of the Birmingham Civil Rights Institute. NEH funding is helping BCRI deepen its commitment to supporting Legacy Youth Leadership participants throughout their high school careers and as they move to college. The program already helps students imagine a wide variety of careers. Whether they envision working as curators, engineers, or accountants, BCRI connects students with members of its staff who occupy those roles. Now, BCRI aims to expand its one-year program to two years. At the same time, it is expanding its mentorship offerings and developing workshops that demystify the college process, helping students deal with college applications and finances and taking them on college tours. And in 2018, BCRI will begin offering stipends to its participants, ensuring that students of all financial backgrounds will be able to participate in the program.